The definition for ‘village electrification’ in the 2006 rural electrification policy says that a village is deemed ‘electrified’ if infrastructure such as distribution transformer and distribution lines have been set up in the inhabited locality and 10% of the households have access to electricity through the infrastructure. Thus, rural electrification has nothing to do with all villagers getting electricity as well as the duration of electricity provided. Quality comes last in the hierarchy. India is the world’s third largest producer and third largest consumer of electricity. The per capita electricity consumption is low compared to many countries despite cheaper electricity tariff in India. The utility electricity sector in India has one National Grid with an installed capacity of 344.00 GW as on 31 March 2018. Renewable power plants constituted 33.23% of total installed capacity. During the fiscal year 2016-17, the gross electricity generated by utilities in India was 1,236.39 TWh and the total electricity generation (utilities and non utilities) in the country was 1,433.4 TWh. Thus, India has surplus power generation capacity but lacks adequate infrastructure for supplying electricity to all needy people. Prime Minister Narendra Modi had, in his 2015 Independence Day speech, promised to electrify in 1,000 days, i.e., by May 2018. The Government chose 18,452 villages for electrification by 2018. Out of the 18,452 villages chosen for electrification, the government claimed that 15,183 villages had been connected to the grid by December 2017. Rest were deemed as uninhabited or lacks the population. In order to address the lack of adequate electricity supply to all the people in the country by March 2019, the Government of India launched a scheme called “Power for All”. “We need to double our power production. Given the infrastructure and generating capacity we have today…we have the ability to double our power production. If tomorrow we need to add 50 per cent power to our system I am ready for that. We are making about 1.1 trillion units of electricity annually now …We can go up to 1.65 next year,” Power, Coal and Mines Minister Goyal said at INFOCOM 2016. The statement by the ministry came a day after Prime Minister Narendra Modi announced that all villages in India have been connected with power. 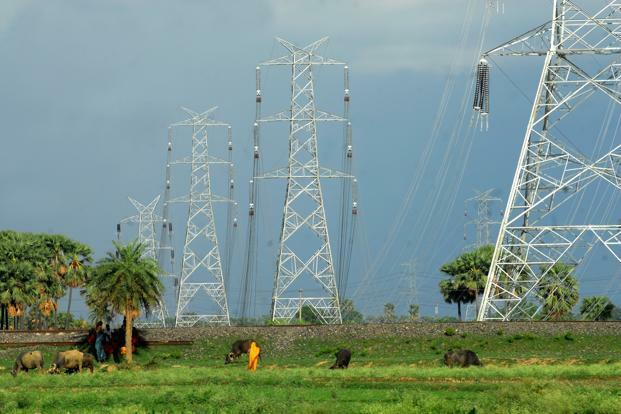 On Saturday evening, Leisang village in Manipur’s Senapati district became the last village to be connected to the national power grid. As per government data, 1,236 villages are uninhabited and 35 have been notified as grazing reserves. As per the government’s rural electrification website, Grameen Vidyutikaran, only 1,301 villages have 100 percent household connectivity. This means that just 0.21 percent of India’s 600,000 villages are completely electrified. The government has now set a new March 2019 deadline for electrification of all households. 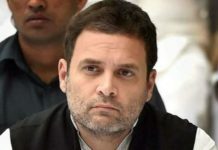 To deflate BJP’s claims, Congress spokesperson Randeep Singh Surjewala said that it was the Congress that electrified 97 per cent of villages in the country but “did not boast”. “On 26th May, 2014; only 18,452 villages were without electrification. BJP Govt took 46 months to complete this at at an average of 4,813 villages per year. This is – ‘celebrating inefficiencies’ & taking ‘fake credit’ for Congress work,” he said. The biggest discrepancy was in the data used for the scheme. Debajit Palit is a senior fellow and associate director, TERI. He felt that with the launch of a household-level electrification scheme, the relevance of the goal of village electrification is over. “The annual growth rate of households since the census in 2011 may not have been taken into consideration to estimate the current state wise total households. There is variation in total households data in villages. There could be a wide difference between what the DISCOMs are reporting and what it should be as per the Census 2011 and the subsequent growth. This is creating confusion and raising doubt about the actual number and percentage of unelectrified households in the country. Furthermore, whether households with solar home systems or mini grid connection are counted as electrified or not is also not clear,” Palit said. The 100 percent Rural Electrification does not mean that all the villagers are receiving electricity. Electric energy consumption in agriculture was recorded highest (17.89%) in 2015-16 among all countries. So, electrifying villages is the need of the hour. The claims of 100 percent rural electrification loses its significance by launching of Saubhagya Scheme to bring electricity to every household. This also proves that Government itself knows that electricity is not available in every household. Moreover, the rate of electrification was much slower too. Then why is our government inflating its chest over such inefficiency? Every thing points to only one direction, that is, creating an image. The skill which has been perfected by this government over its tenure. Let’s see how this Saubhagya Scheme turns out.